The Gypsy Robe will now be known as the Legacy Robe after a vote from members of Actors’ Equity. The vote comes after the national council of Actors’ Equity decided to change the name due to concerns about the insensitivity of the term, which can be seen as derogatory towards people of Roma descent. The robe is awarded to the chorus member with the most Broadway credits on opening night of a new musical. 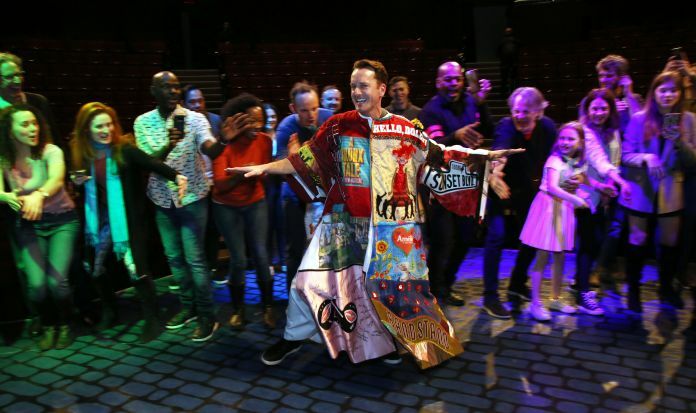 The tradition of presenting the robe to the chorus member will continue as it did, with decorated patches from each Broadway show and the robe wearer circling the stage to touch the hands of cast members, albeit under the new name. In an online vote, 39% of members voted for the Legacy Robe, with The Robe and the Chorus Robe as runner ups. “The Legacy Robe reminds us why our tradition exists. It emphasizes the history of Chorus performers, their years of dedication and hard work and just how essential they are to every Broadway musical,” Mary McColl, Executive Director of Actors’ Equity, said in a statement. Equity’s national council had voted nearly unanimously to change the name in April, but they acknowledged that the move may be met with some pushback due to the Robe’s entrenched tradition in the Broadway community and the use of the name as a point of pride for working chorus members. The union said it had since heard some arguments from members against the name change, but that it has a “obligation to lead by example” in what it sees as a matter of furthering stereotypes. “While the original name was intended by members to be an honorific, the name change was made to recognize that the usage of the former name no longer has that impact, but is instead insensitive,” Equity wrote in a press release.